Frits van Paasschen, author of The Disruptors’ Feast, explains seven smart ways you can adapt to a disruptive business environment. Are you worried about falling behind in a disruptive world? If you’re like most business leaders you have seen how the communication revolution of the internet, social media, and mobile phones has disrupted every aspect of your business from selling to marketing to human resources. No business is safe from change. New technologies appear every day, but what is the best way for your business to stay on top when everything is being disrupted? If your business is facing the headwinds of technological and market change, you would do well to listen to the advice of Frits van Paasschen, author of The Disruptors’ Feast: How to Avoid Being Devoured in Today’s Rapidly Challenging Global Economy. As a former CEO at Starwood Hotels and Resorts, Coors Brewing Company, and Nike’s President of Europe, Africa, and the Middle East, van Paasschen has seen firsthand how the communication revolution has disrupted business practices. In his talk on the Disruptor’s Feast, van Paasschen says businesses have two different choices when facing disruption. First, a business can stand in the way of change, try to delay it, and lose market share. You need look no further than the music recording industry as a cautionary tale of what happens when you delay change. They fought the changes of MP3s and online streaming and lost billions in market share. Second, you can adapt and survive. If you want to adapt, Van Paasschen suggests adopting these seven life-giving virtues of disruption. Thanks to the communication revolution, a world audience is reachable to anyone with a mobile phone and an internet connection. 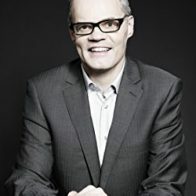 Van Paasschen suggests in our interconnected world small businesses should not wait to go global. Your mantra should be “work local, market global.” Your audience is all over the world so you should start reaching out to them right now. Prior to the communication revolution, jobs and professions were more static. Now there are more people doing jobs and professions that did not even exist five years ago, such as digital marketers, social media interns, and big data specialists. However, that does not mean the old business skills need be forgotten, such as customer service. Van Paasschen suggests combining the old wisdom with the new methods. For customer-facing businesses, you can set up the whole check-in process or information process by mobile phone and then spend more time concentrating on the customer experience when the client walks in the door. In the past, the primary role of the company brand for the consumer was as a mark of reliability. You could trust IBM computers for their quality, for example. Now brands are all about having shared values with the consumer, says van Paasschen. Your brand mission today is about creating a relationship with that consumer, understanding their needs and wants, then responding to them in real time through social media. If you do not, we have all seen firsthand the negative consequences of social media when a customer was removed forcibly from a United flight. In the old world, change worked more slowly. Companies spent years developing new products and months devising release campaigns. Now the pace of innovation is much faster, says van Paasschen. Software companies now go from releasing software updates every few years to every few months. Businesses need to be in a constant feedback cycle with their consumers to keep products up-to-date and relevant. While businesses sometimes resist change, people like change—as long as they have choice and control in the process. Therefore, your business needs a clear purpose so you can relate the change back to the fundamental reason your business is operating, says van Paasschen. This way you can have open communication with your employees and empower them to make the right changes. Planning is great for blueprints and key performance indicators, says van Paasschen. But plans can create change blindness. Strategy is more about understanding the fundamental purpose of your business and the problems you are trying to solve. If you focus solely on your plans, you will try to complete them no matter how the industry changes. However, if you focus on your strategy instead, you will be able to adapt more easily to industry disruptors.